No matter how skilled you may be or how involved you may be in your project car, there’s one area that’s always best left to the professionals: paint. 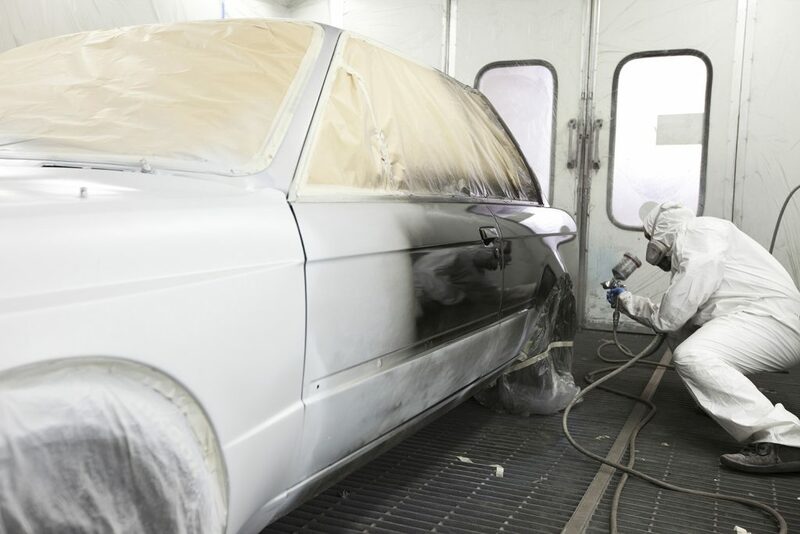 Whether you need to freshen up your daily driver, repair damage from a collision, or just want a custom look for your vehicle, Merton Auto Body has the tools and talent to make your car look like new. Getting a top quality paint job starts with a smooth surface. The entire outside of the vehicle is sanded down and imperfections in the plastic and sheet metal are fixed. Once the surface has been prepped, we apply the paint job using a three stage process: primer, base coat and clearcoat. Paint won’t bond with metal and plastic directly, so a primer is used to join the two together. This is sprayed on like paint, then gently sanded down to keep the body surface flat. Next, the base coat can be applied. Normally when we do damage repair, our paint technicians have to carefully match the paint color to the existing paint so that they look equally faded. With a complete paint job, we can use factory paint colors to make the vehicle look like it did when it was new, or a custom color of your choice. We can even add materials like pearlescent pigments to the paint to change the final finish. 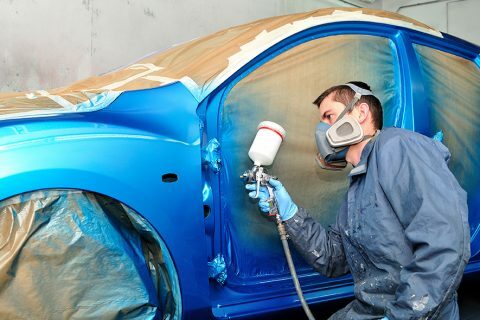 Several layers of paint are applied to the surface of the vehicle to create a solid, long-wearing color. To keep the vehicle looking new, the paint needs to be protected. Clearcoat is applied over the base paint, creating a barrier that helps maintain the vehicle’s color. If the paint surface is damaged, this layer can be refinished without affecting the colored paint underneath, maintaining the vehicle’s appearance. Finally, the paint is polished and sealed, protecting the new paint while providing a flat, shiny surface. Why Should I Go to Merton Auto Body for My Paint Job? We use the Spies Hecker Paint System. While you may not have heard of them, there’s a chance you’re already driving a car with their paint, as they provide coating systems for several vehicle manufacturers. 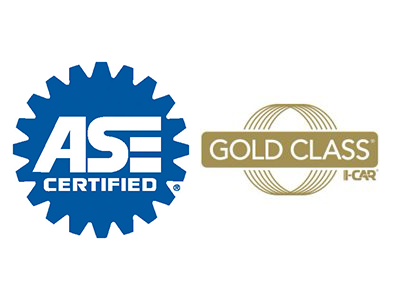 Our I-Car certified technicians mix everything on site to ensure consistent paint quality. Want to know what it will take to get the look you want? Bring your car in, and we can do a complete estimate in about 15 minutes.